When I was telling my friends about my (then) future trip to Southeast Asia, everyone had questions about Bangkok, Phuket, the Angkor Wat, Vietnam, and the Malaysian islands. However, no one asked a single thing about Laos. 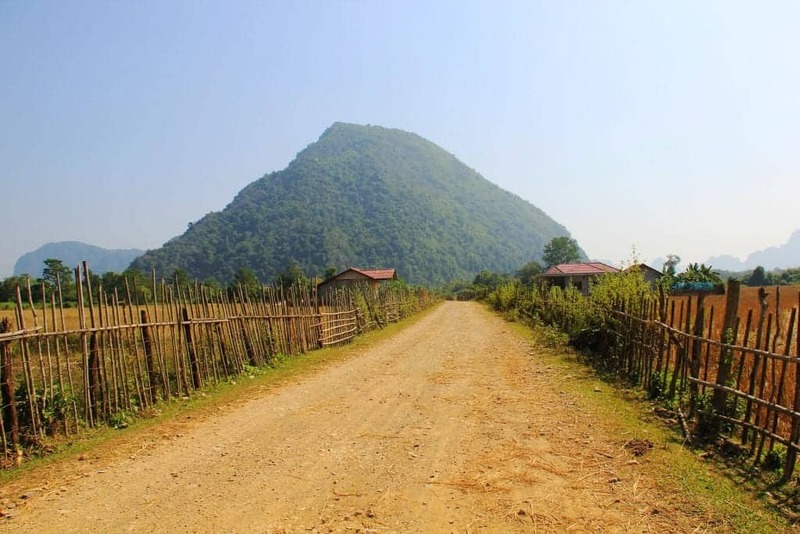 And most travelers that backpack around Southeast Asia often skip poor little Laos and head to its famous neighbors. 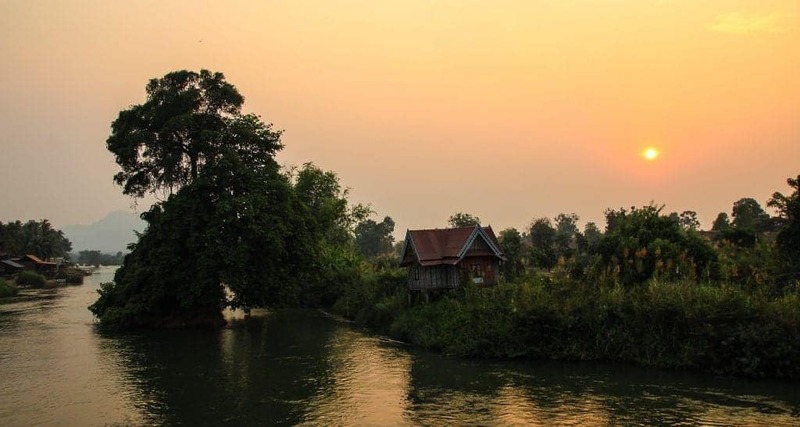 Even for me, Laos was this small landlocked country surrounded by mystery. However, I’ve done my fair share of traveling around Laos and learned a lot about this amazing country. After that, I decided to write this article to share the things I’ve learned about Laos with the world. Here are some things I wish I knew before visiting Laos. It’s a joke of course. But Lao people don’t like to rush and neither do their public transport vehicles. Buses are normally never on time and neither are the people when you need to meet someone. I got the impression that Laos is a very chilled out country where no one is ever in a hurry and this laid-back attitude is refreshing. Get ready for some lazy afternoons! Also if you have a motion sickness, keep in mind that the roads are also in a very bad condition. A journey from Vientiane to Luang Prabang (around 300 km) takes at least 8 hours! A lot of people know about Thai food, Vietnamese pho dishes, and even Cambodian amok curries. But Lao food is a real mystery. Let me break it to you: Lao food is just as tasty as any of the other three. The most famous dish is marinated meat, called larb, which can be served either raw or cooked. Some other famous dishes are the sticky rice and Lao sausage (also delicious). They use a lot of herbs in their cuisine and their food is mostly either sour or spicy. Lao people love their beer too. You can get the national Beer Lao pretty much anywhere for $1.20. The Mekong River has been both, a giver and taker of life in Laos throughout history and that’s not far from the truth today as well. 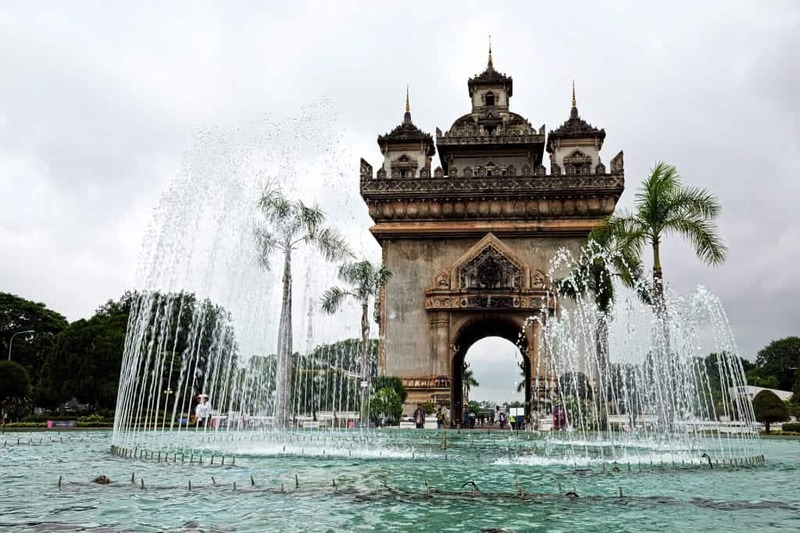 For instance, when you visit Vientiane, the capital, you won’t find shopping malls or fancy neighborhoods. Instead, you will see that the most happening place in the city is the riverside. I’ve never seen anything like that before. I’ve never seen a modern city that’s still so dependent on a river. 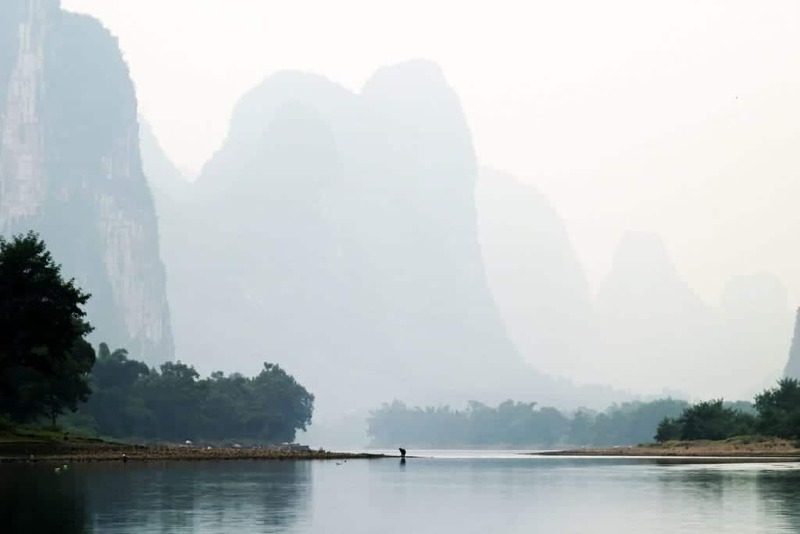 While we’re at it, floating at the Mekong is an amazing experience, especially early in the morning when there’s nothing but mist and a couple of boats floating in absolute silence. I think this makes Laos the only landlocked country in the world to have islands. 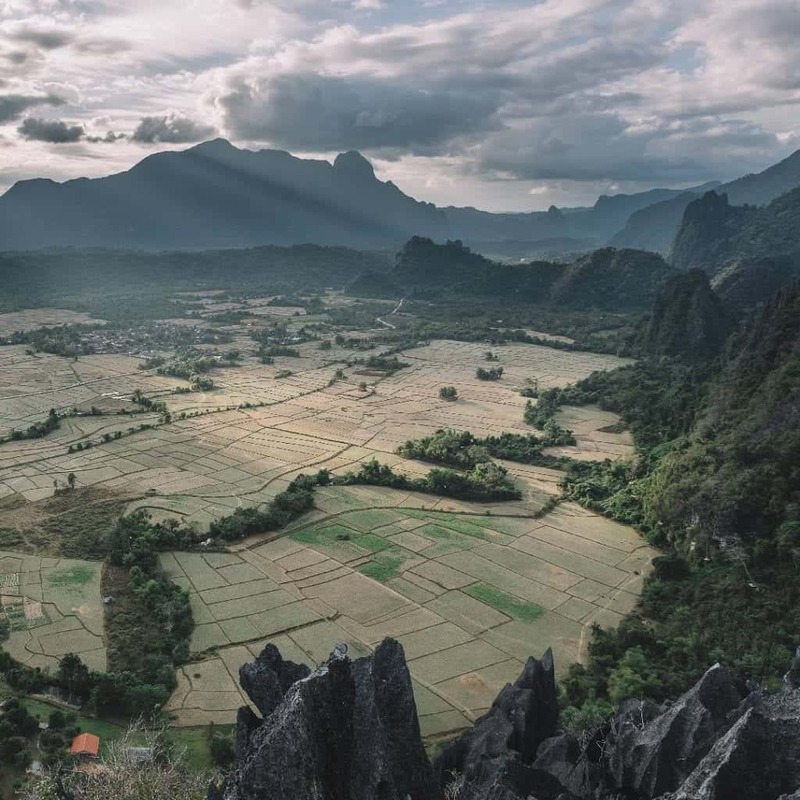 Located deep in the most southern part of Laos you can find a cluster of islets at the Mekong River, known as Si Phan Don, translating to 4,000 islands. And there are a lot of soft sandy beaches on the banks with the most famous islands being: Don Khong, Don Det, and Don Khon. The main reason for this is that they used to be two different kingdoms battling for power throughout history. However, most travelers prefer the north, and some go even that far to say that there’s nothing to see in the south. Of course, I don’t agree with them. Yes, it’s a very peaceful place, and you can’t expect to find wild parties anywhere in the south but there’s a lot to see there. The landscape is flatter so the roads are a bit better. And it’s not only about the 4,000 islands. Some other must-see places are the ancient city of Wat Phou, the lush forests of the Bolaven Plateau, and my personal favorite, Konglor Cave, arguably the most amazing cave in Southeast Asia. Surprise surprise! Lao people can speak French. However, the Language isn’t the only French thing you will find here. You’ll find crêpes in the breakfast menu and you can see French style colonial buildings everywhere. But the most surprising part was by far the omnipresence of baguettes. You can find them on the streets, you can find them in the bakeries. They’re everywhere. And so are French people. A large portion from the backpackers visiting Laos is French. Vang Vieng is arguably the cheapest hot air balloon place in the whole world. You can easily get a hot air balloon ride for as low as $78. If you want to thick this (oftentimes pricey) experience off your bucket list, Vang Vieng seems like the cheapest place to do it. This is a part of their culture. Monks are respected figures in the Lao society because of their deep spirituality and touching them if you’re a woman is considered disrespectful. This isn’t something I necessarily agree with but it’s the way it is. Touching and showing affection in public is also not their thing and Lao people are quite reserved. When you’re greeting put your hands together and bow instead of shaking hands. Touching a person you don’t know is considered rude in Laos. When in Laos avoid using your feet for anything other than walking. 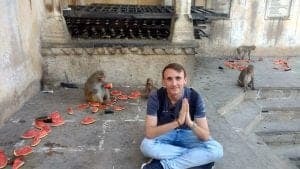 Don’t step over people in the parks or in the temples. That’s considered rude. If you have to move around an area where there are people sitting down, rather crouch instead of stepping over them. Finally, when you’re in a temple, make sure your feet are never pointed towards a Buddha statue. Lao people appreciate their language and they will always greet you in Lao rather than English even if they speak English. No, they are not being arrogant they just appreciate their language. You know what else they appreciate? Foreigners making the effort to greet them in their language. Try saying ‘Sa Bai Dee’ instead of ‘hello’ and ‘Cup Chai’ instead of ‘thank you’ and you’ll see the positive reaction it leaves on people. If you did your research you might know about the river tubing craze in Vang Vieng. However, alcohol and tubing don’t really sound like a good idea. Long story short, a few people tragically died at Vang Vieng and after this, the local authorities made some restrictions. After this, peace and tranquility came back to Vang Vieng. River tubing is still available but there are a lot of other activities you can do here, like kayaking, mountain biking, exploring caves, and rock climbing. During my last visit in September, I only saw a couple of bars that were open. Some people brought their own booze but nothing crazy. Vang Vieng is slowly becoming an eco-touristic place, rather than its past as a party hub. Cannabis is tolerated to a certain extent in Laos but it’s not legal. Be careful especially in touristy places like Vang Vieng. There’s this common scam where you buy some cannabis from a local peddler and you’re intercepted by the police at the next corner. Chances are, they are working together and you will either end up in jail or will have to pay around $600 USD for bail. Read about some other common scams in Southeast Asia here. And it’s locally known as Songkran. It’s celebrated for three days every year from the 13th of April till the 16th of April. In Luang Prabang, the celebrations last for a week. 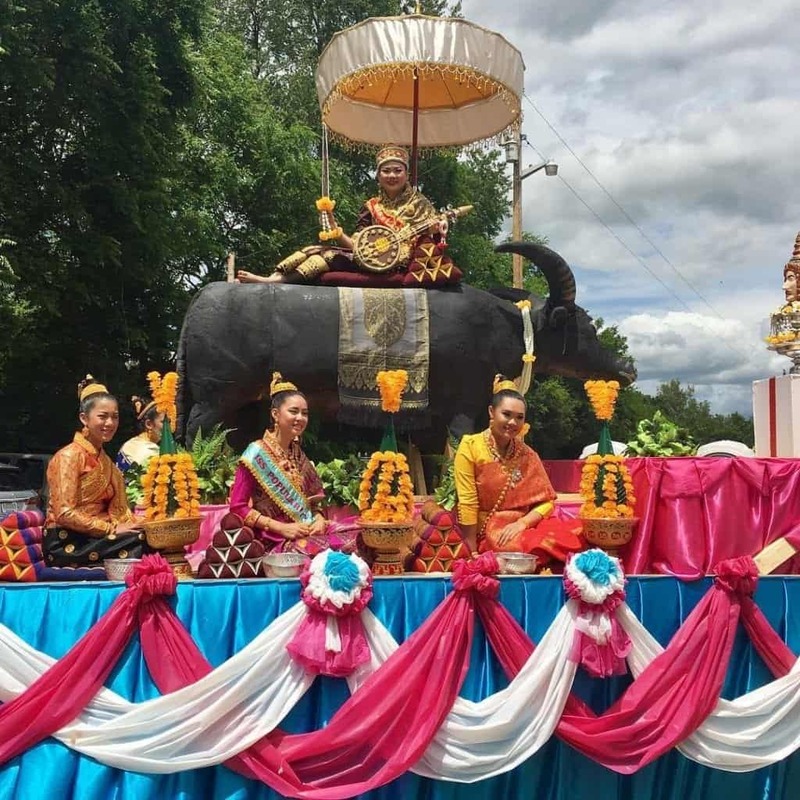 April is one of the hottest months in Laos and the temperature gets up to 40 degrees Celsius but experiencing these celebrations is certainly worthwhile. Hey, this comes just at the perfect time for me. We are planning a trip to Laos in December and your post gives me a number of helpful tips. Thanks for sharing. You refreshed my Laos memories. Great list to read before visiting Laos. 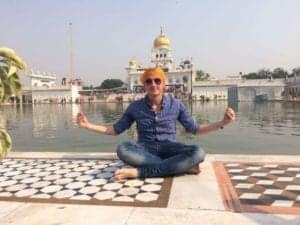 I knew few of these rules like the one you mentioned of using feet nowhere else but walking – that’s similar to Thailand. And, would you believe I have a photo of the same lady with so many vegetarian food? I am not kidding. Isn’t it the vegetarian food stall where you can fill your bowl as much as you want for 15,000 kip? Laos looks awesome. I love the french influence in the architecture. Love the fact that it has so many river islands even though it is landlocked. I really enjoyed our time in Laos. Your article brought back memories. We were in Vientiane and heading to Vang Vieng and a traveller said to us we were crazy to visit there, there was nothing to do. We planned 3 days and ended up staying 7. So we vowed never to listen to other travellers and just go and find out for ourselves. Thank you Jane, for your comment and for sharing your experience. I’m glad to hear this article brought back some nice memories. Wow, 4000 islands! 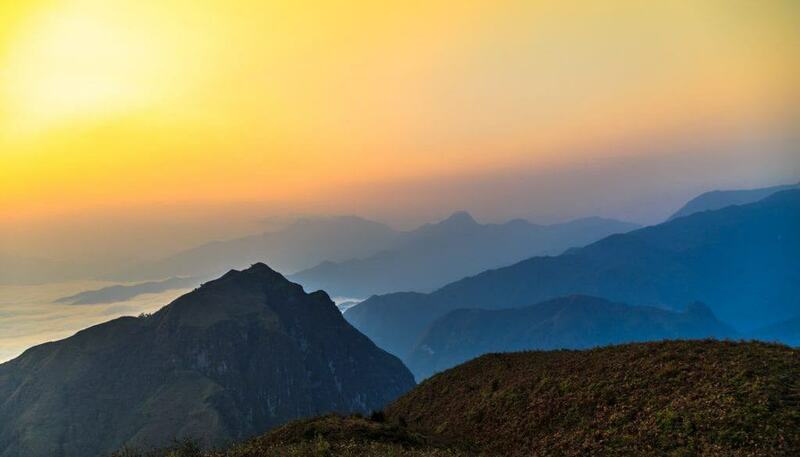 Obviously you can’t rush visiting Laos, especially since it looks absolutely amazing. I’d love to visit and photograph at least some of these islands. I can only imagine how beautiful they must be in real life. As for cannabis, I’d love it if it was illegal everywhere and nobody would use it. Thank you for your comment, Anda. Laos is indeed amazing but I would disagree with the complete ban of Cannabis that you’re advocating in your comment. Cannabis has proven to be an effective medical remedy for an array of diseases and medical conditions. I don’t support people abusing it but I would definitely not say it should be banned completely, as it actually saved the lives of a lot of people that had no other solution/choice left. I missed out on Laos last year, when I went exploring Vietnam and Cambodia. Have been meaning to take a trip that side, but TBH I wasn’t even aware about half of the things you mentioned. Which is why the title is totally apt. Thank you, Arnav and I hope you get the chance to visit soon. This is so informative. You are right, people hardly ever discuss Laos. I knew a little about the river community, but I was not aware of all of the islands and beaches. That is definitely unexpected for a landlocked country! Thank you, Jen. I’m really glad to hear you liked this post. Wow! A lot of good things about Laos. I haven’t been to Laos but I really wanted to go. I want to experience the food, the culture and the way of life. I hope I can come to this wonderful country soon. PS: Yes, I won’t rush Laos! Haha. Indeed, Emman. I hope you get the chance to visit Laos someday. 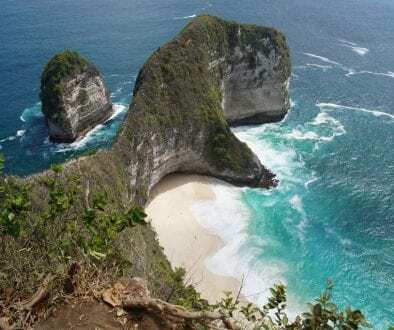 Thanks for sharing this wonderful destination and I agree with you that a lot of us skip and don’t think of this destination when planning south east Asia. I have visited this area my self few times but skipped Laos. The land locked country but a lot of islands give it that beauty of water and land. The food looks interesting and must be in line with the area Thanks for sharing a great post. Thank you, Amar. I’m really glad to hear that you liked this post. Laos is indeed, an amazing country. Your pictures from Laos are so fascinating and beautiful. The Mekong river seems so serene. I would totally be spending half of my day on the banks of the lake. I would also be looking forward to trying out river tubing in Vang Vieng whenever my visit Laos. It seems a unique thing to do and enjoy there. The food looks delicious too. I am having Laos on my bucket list now.